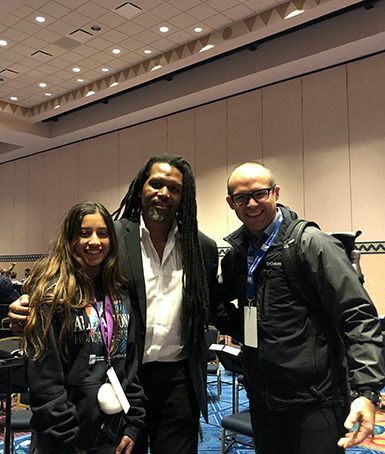 At every grade level, students engage in active music making. We engage the school community through performances at assemblies, divisional concerts and open mic nights. We engage the broader community by performing at local nursing homes, churches, state and national music festivals, community events and exchange trips. 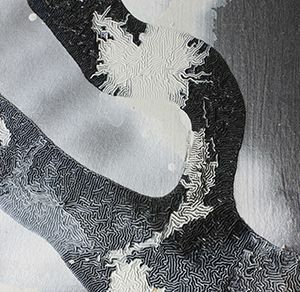 Foundational technique and theoretical understanding are reinforced in each class and rehearsal. Excellence is modeled for students by our highly trained faculty. 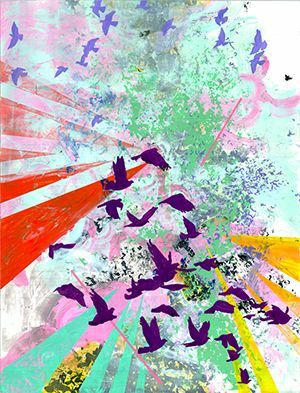 These experienced educators and performers each hold advanced degrees and multiple certifications in their applied field of study. 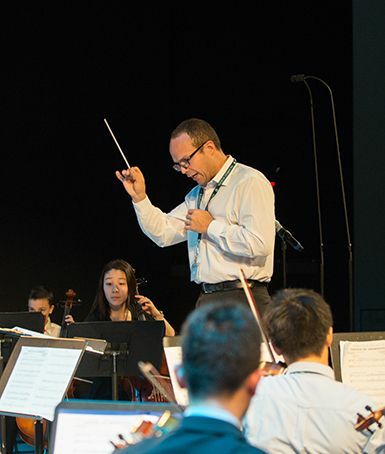 Whether the student is just making their first sounds or already musically fluent, instruction is tailored to the needs of the individual in the context of the ensemble. Students have the opportunity to study their instrument during the day or after school with a private teacher on campus. Our highly skilled private lesson faculty, represent each of the major instruments. Collaboration at all levels allows us to engage our students in topics of cultural relevance. 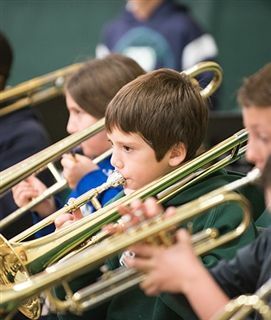 In Lower School, music is studied and rehearsed for culminating events such as Desert Zoo, Westward Ho, and Greek Day. 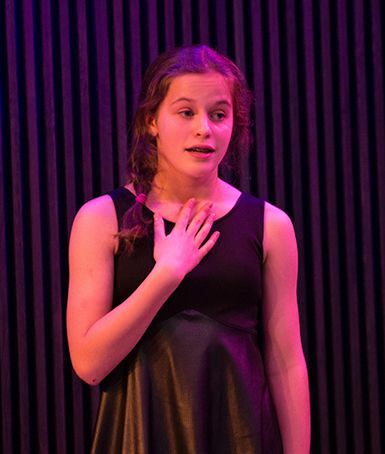 In Middle School, our students learn what it means to be active listeners in their ensembles and to present on a musician and composition of their choice. 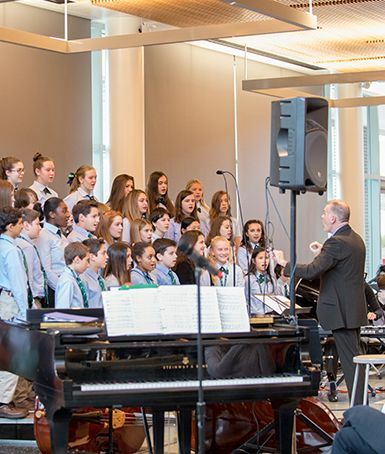 In Upper School, our Music Theory and Composition students write pieces that get performed and recorded by our own Upper School ensembles. 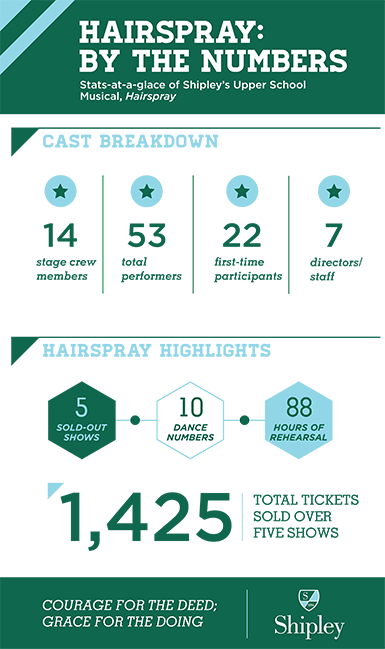 Students from all three divisions join together in performance throughout the year. Every student at Shipley participates in a performing art and every Lower or Middle School student participates in a music ensemble. In addition to singing in Choir, every Fourth Grader learns to play an instrument of their choice. Students maintain digital portfolios for reflection on growth and progress. No matter the point of entry, each music student at Shipley will be challenged to take creative risks in a supportive environment. 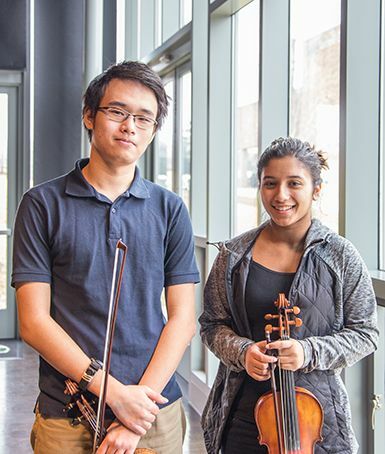 Through practicing consistency and employing creative problem solving techniques, students develop skill in their area of musical interest. 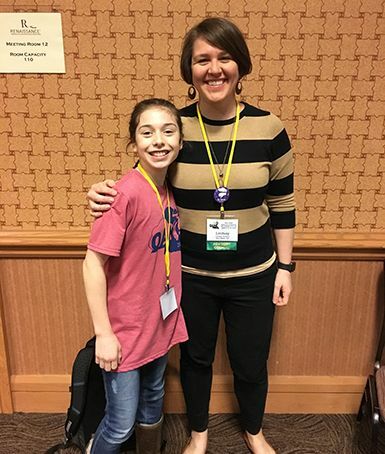 Shipley Sixth-grader Annabella Asimos was selected to sing in the OAKE (Organization of American Kodaly Educators) National Youth Choir for the second year in a row. Shipley Upper School Performers Sell Out "Hairspray"
Shipley's Upper School Musical, Hairspray, sold out five performances from March 1-3. 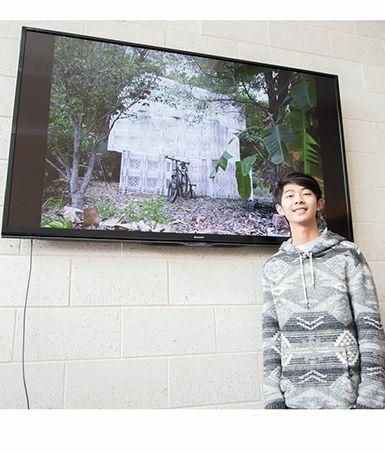 See more photos from the show. 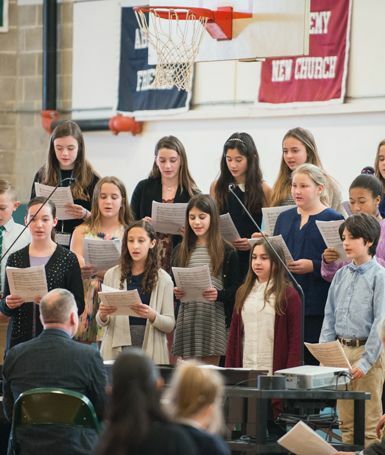 During this February’s All School Assembly, Shipley’s 6th Grade School Choir performed “You Are Courageous to Me,” an original song with music and lyrics by Sarah Shoumer ’23, a new student at Shipley this year. In this post, Sarah tells us how she took her song from the page to the stage. 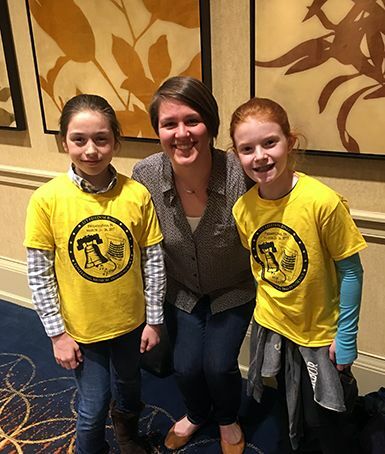 Two Shipley fifth graders, Elle Miller and Annabella Asimos, were recently selected to the OAKE (Organization of American Kodaly Educator’s) National Children’s Choir. 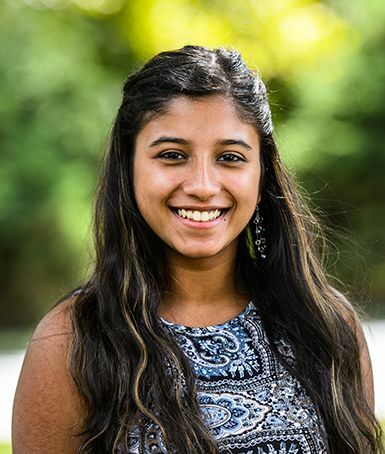 Shipley violinist Saakshi ’19 was selected to participate in the PMEA State Orchestra Festival. 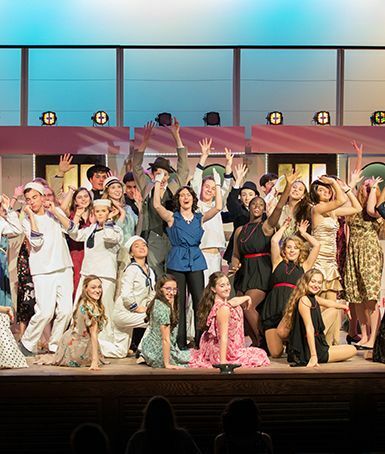 On March 2 - 5, Shipley's Performing Arts Department brought to life Cole Porter's Anything Goes on stage in Riely Theatre. 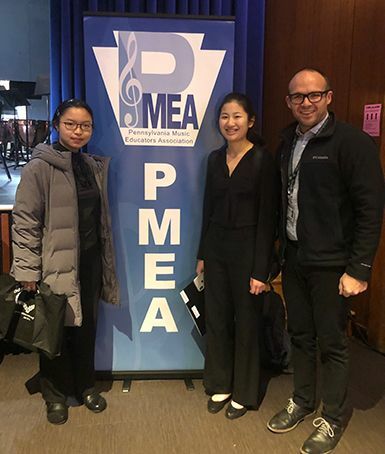 Shipley violinists Steven Zhang ’18 and Saakshi Navile ’19 were selected to participate in the PMEA (Pennsylvania Music Educators Association) Sr. High District 11 Orchestra Festival. 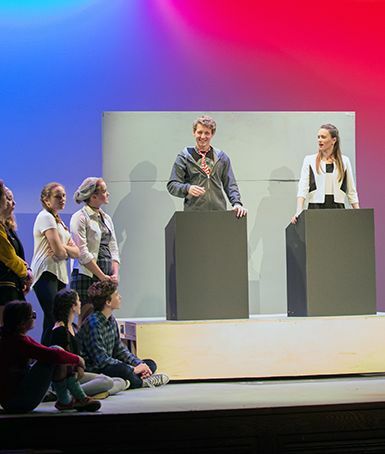 Upper School Students Stage Hilarious Performance of "The Election"
The cast of "The Election," a "hilarious and timely satire on the contemporary political scene," kept audiences laughing through every moment, right in the wake of the 2016 Presidential election. Shipley's sixth grade drama students performed a series of captivating monologues and hilarious short skits for an audience of their peers and families. 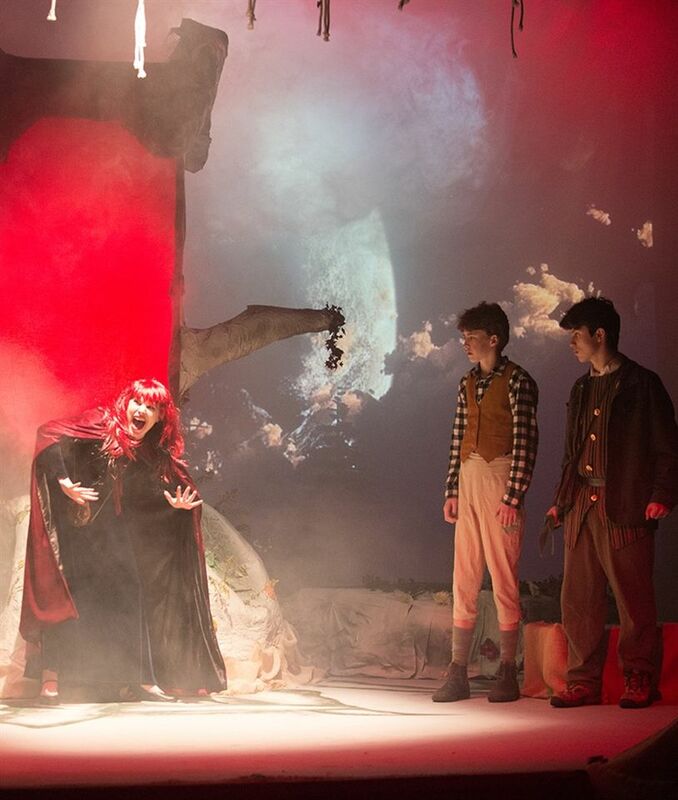 Upper School Students Perform Stephen Sondheim's "Into the Woods"
Elvis Zhang recently received recognition from the National YoungArts Foundation and the Alliance for Young Artists & Writers. Bravo to our Lower School musicians! Tuesday's Winter Concert featured the fifth grade strings, fifth grade winds, Chamber Strings Ensemble, Cantare and the fifth grade chorus. It was standing room only as our Upper School students delivered an outstanding performance of their musical talents at the Winter Concert. The Handbells, Glee Club, Chamber Orchestra, Shipley Singers, and the Jazz Ensemble each performed. 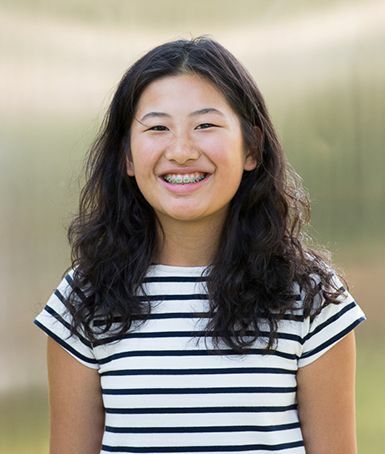 As Head of Upper School Margaret van Steenwyk said, "It was hard to believe they were high school students!" See more photos of the concert on our online photo gallery. Sixth Grade ensembles meet separately from Seventh/Eighth Grade ensembles. Occasionally they collaborate and perform together.